CellVue® Red Mini Kit for Membrane Labeling | Polysciences, Inc. The CellVue® Red cell linker kit uses proprietary membrane labeling technology to stably incorporate a fluorescent dye with long aliphatic tails (CellVue® Red) into lipid regions of the cell membrane (1). The pattern of staining is dependent upon the cell type being labeled and the membranes of the cells (2, 3). CellVue® Red, a far red/near infrared fluorescent cell linker has been reported to be useful for cell tracking in isolated organ preparations applications (4). Label cell membranes with lipophilic dyes that emit in the long wavelength UV, the far red or the near infrared region of the spectrum. Kit Contains: CellVue® Red dye stock (1 vial containing 0.1 ml, 1 X 10-3 M in ethanol), Diluent (1 vial containing 10 ml) The CellVue® Red Fluorescent Cell Linker Kit contains a 1mM dye stock solution and cell labeling diluent. Dye fluorescence properties: Ex max=567nm and Em max=588nm. 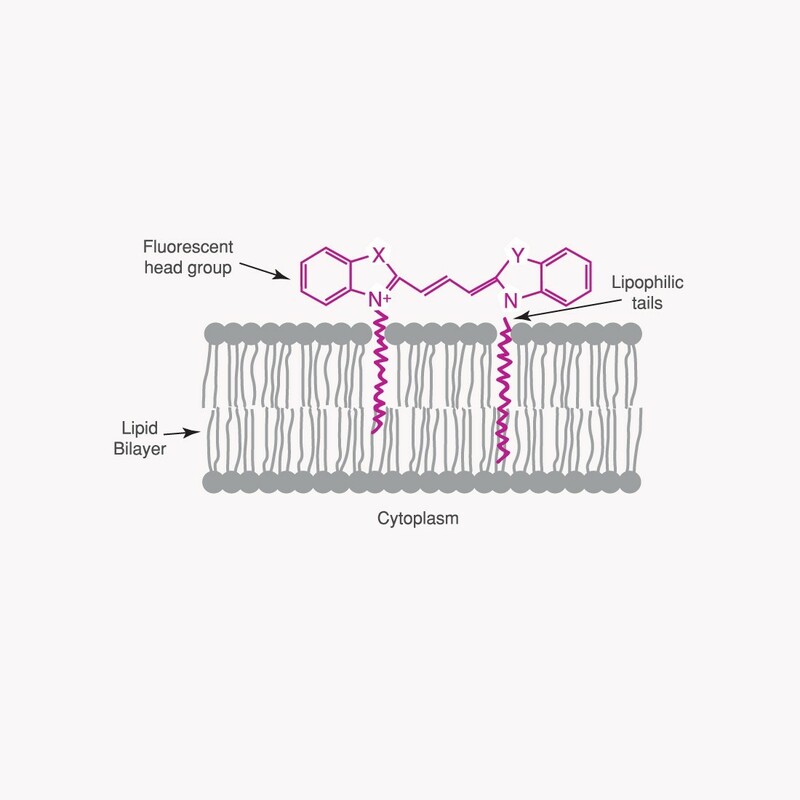 Provides stable labeling of the lipid regions of cell membranes.